Different countries, for some reason, use different terminology and descriptions for yarns. Basically, the higher the number the bulkier the yarn whether you are looking at the ply, the hook size or the yarn symbol. 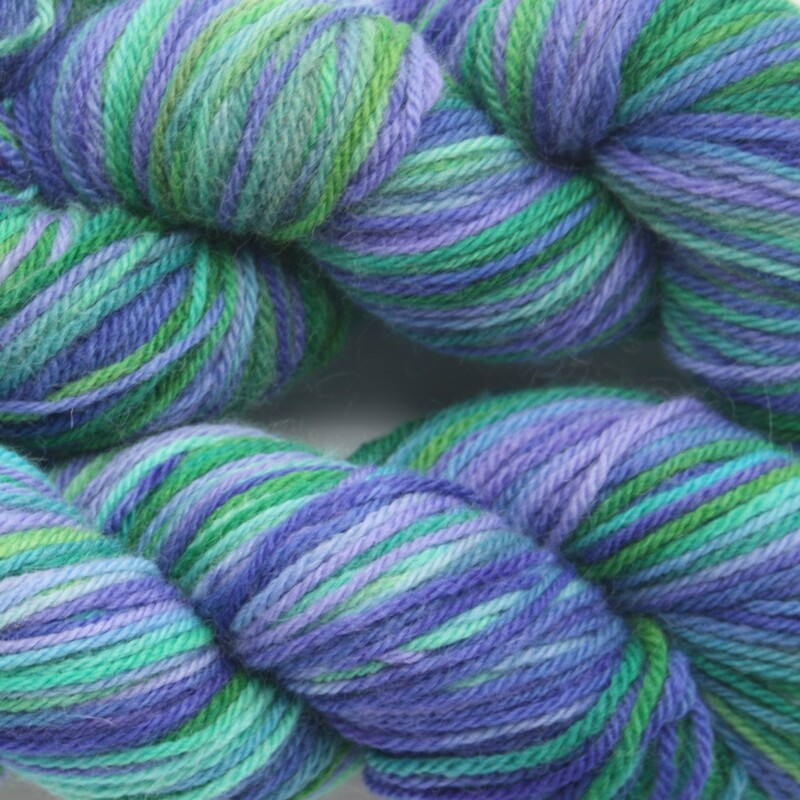 Due to the process of hand dyeing yarn, no 2 skeins will be exactly the same. If you have bought a pair of skeins from me they will have been dyed in the same kettle bath and will be very similar and great care has been taken to get them as close as I can. All of my yarn has been pre-hand washed in a delicate wool based wash until the water has run clear. However, I recommend that you hand wash them separately to start with, especially the more vibrant coloured yarns. Where coordinating yarns have been purchased, they have been made from the same shade as the variegated yarns and so will match one of the shades in the variegated skein. When using more than one skein for a project, I recommend that you alternate between the skeins throughout the project for example, 2 rows from one skein and then 2 from the next. The colours in the photos represent the colours to the best of my ability. If you would like any further photographs then please do not hesitate to contact me. If you have any issues at all, please contact me straight away, I shall be happy to help.